This entry was posted on 23rd January 2019 by Judith. What do you need for the successful germination of seeds? Seeds will germinate across a wide range of temperatures but as the temperature falls below - or rises above - the optimum range, the length of time it takes for them to germinate increases and the percentage germination rate falls. Long germination times also make the seeds more vulnerable to disease. You can warm up the soil outside by a few degrees if you cover it with ground cover. A soil thermometer will give you an accurate soil temperature figure. A warm day does not mean warm soil. Beware sunny day when propagating in the greenhouse. Temperatures can soar, basically cooking your seeds or seedlings. Lettuce seed will become dormant over 23 °C. Soil warming cable - Early propagation requires a consistent soil temperature of 12ºC to 16ºC. Germination and root development are very slow below these temperature levels. If you have a large area to heat up then a soil warming cable is ideal. The cables are ready to use and can be plugged into a thermostat for complete temperature control. Heating mat - Like an electric blanket for your seed trays! It comes with a soil sensor and thermostat, and you can set the temperature up to 40 degrees C. Heating mats can be set up and put away very quickly and can be used anywhere with light and power. Heated Propagator - There are two types available, both need a power source. Those designed to provide constant, gentle heat. The electrical element (between 10W and 15W) will increase the ambient compost temperature by about 8°C. There is no thermostat. This type of propagator is usually cheaper and designed to fit on a windowsill. Indoor use only. Those controlled by a thermostat which can reach high temperatures. They have a greater wattage - about 85W. Suitable for indoor or outdoor use. They are easy to take apart and store when not in use. Hot Press - If you get all the towels out of the way this is a great place for starting off your seeds. Cover pots with a plastic bag so the soil doesn’t dry out. Good idea to put a sheet of newspaper down first - otherwise you will have soil everywhere! 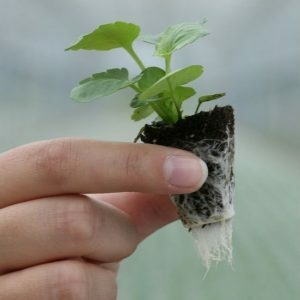 The first plant growing medium or substrate was developed in the 1930s at the John Innes Horticult ural Institute in Great Britain. It was called “compost,” and was a mix of loam soil with peat moss, sand, and fertilizers. 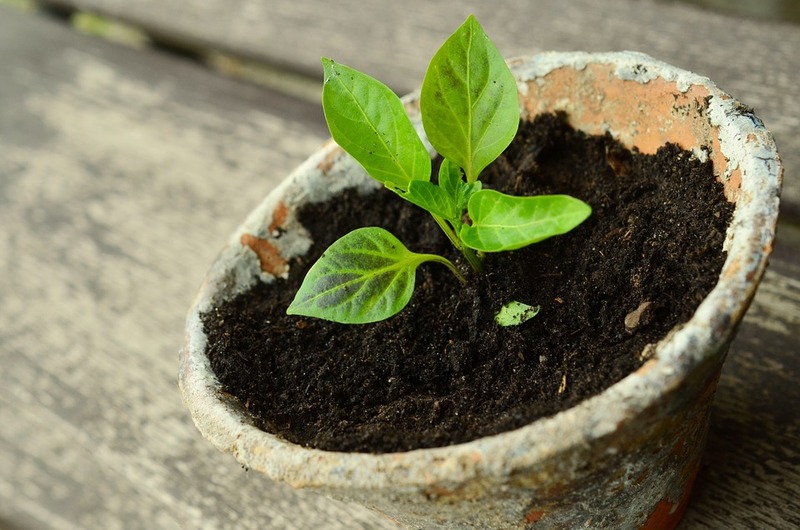 The idea of seed and potting composts as we know them today originated with the growth of the suburban garden and the garden centre. Before we had garden centres plants were grown in nurseries and dug to order – they used their own compost or growing material. During the 1950’s the growth of suburbia led to an increase in the demand for ornamental plants. The horticultural industry was also changing and the market for vegetable plugs was expanding. All these changes created the market for compost - compost which had to be consistent and reliable. We stock Klasmann Organic Composts which will give you consistent, reliable results. Check that your seeds are within date. Most will keep for years in cool,dry and dark conditions. Exceptions are parsnip, onions and dill. Make sure soil is firm when sowing your seeds. If sowing in compost then level the compost firmly before sowing. Outside do not sow in freshly dug soil – it is best to let soil settle first. The aim is to get your seeds in contact with the growing media, not fall into some black hole of no return. Don’t overdo the sprinkling of seed or you will have to do a lot of thinning. Don’t sow seeds to deep – this is especially true of small seeds. Remember to label your seeds – a lot of babies look the same.